TANK fire + metal: Working her magic. 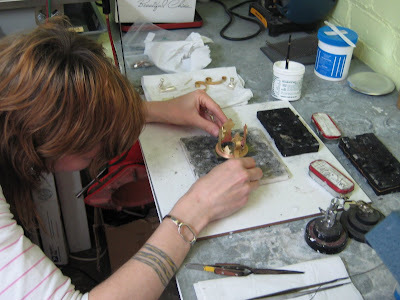 Here's Cynthia preparing to solder a section of a fancy candle stick holder, a replica of a turn of the century piece. It has a fleur de lis pattern.